Neuropathy Treatment That Works: Neurogenx NerveCenter of La Mesa in the News! Surgery-phobes (and you’re probably one of them), take heart. If you suffer from neuropathic symptoms or neuromuscular pain, you’ve got the option of a non-invasive treatment that proponents say is 87 percent effective. 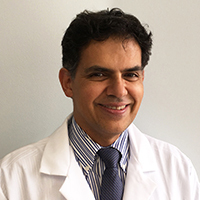 “Inflammation of the nerve is the major reason for nerve damage,” explains Bahreman, who is the only board-certified neurologist in San Diego County who offers this treatment as an alternative to narcotics or invasive surgery. “With this technology, the (developers of Neurogenx™ Treatment) were able to prove that the inflammation can be reduced.” The ideal candidate for this treatment, he says, is a person suffering from peripheral nerve damage. It has also been successful for patients with diabetes, fibromyalgia and even vitamin deficiency. Treatment is not a one-time-only proposition. “You have to be committed to the program for it to be effective,” Bahreman stresses. That program generally entails 40-minute sessions twice a week for three months, all of it on an outpatient basis.